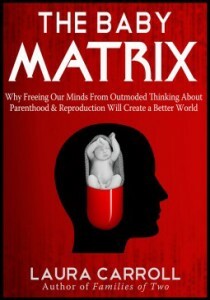 “In The Baby Matrix Laura Carroll articulately and systematically challenges the multiple conscious and unconscious assumptions that go into the insistent “pronatal” view of our American culture. She details seven assumptions that make up this ongoing pronatal bias and summarizes relevant research from the last twenty years thereby effectively drawing the reader in to actually ‘think’ about each assumption. D escribing seven post-pronatal assumptions she then brings the reader toward seeing a society in which every adult would have the psychological freedom to find her/his way to creating a fulfilling adult identity that would not by necessity include parenthood. 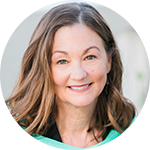 She lays out a clear roadmap for those in childbearing years to think through their decision to be or not to be a parent and offers compelling reasons why in fact not every adult “should” become a parent.